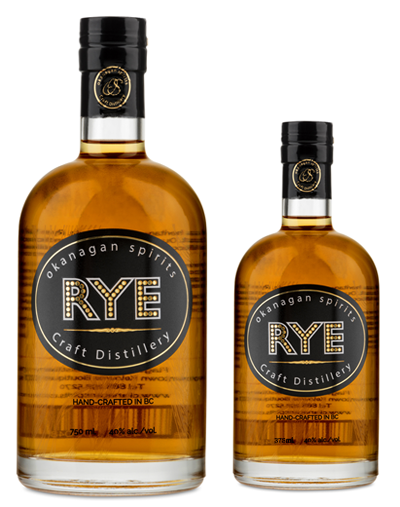 Okanagan Spirits Craft Distillery is pleased to release its BC Rye Whisky. This proudly Canadian whisky exemplifies the spirit of the west with a smooth yet spicy mix of good old Western Interior sass. 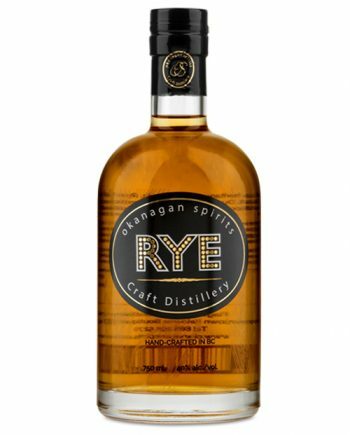 This smooth nod to Canadian Whisky is distilled with a blend of 51% Coldstream Valley Rye, and 49% of our locally malted BC Barley, aged in our heavily toasted and charred American White Oak Casks, and then cut with our very own deep well-water. The Essential Collection by Okanagan Spirits is a selection of three mainstream spirits, essential to any home or professional bar. Handcrafted in British Columbia, Canada, using Copper Pot stills, we offer a range of premium Whisky and gluten-free Gin & Vodka. These premium distilled spirits can be enjoyed neat or over ice, alternatively they can be used as the essential base for a creative cocktail.